Homeschooling is a task that calls for a lot from us moms. It affects EVERY area of life, it seems. It’s called the “homeschool lifestyle” for a reason, y’all! Here’s another thing that affects EVERY area of a woman’s life: emotions. I don’t know about you, but I’ve definitely got ’em. And they can make themselves VERY noticeable sometimes. So what happens when homeschooling and emotions mix?? Because they do, don’t they? Sometimes it seems like homeschooling can push all of our buttons. 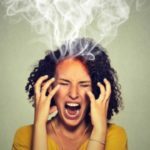 I’ve thought a lot about it, and I’ve noticed that there are certain things about homeschooling that tend to cause me to have a melt-down get more emotional. 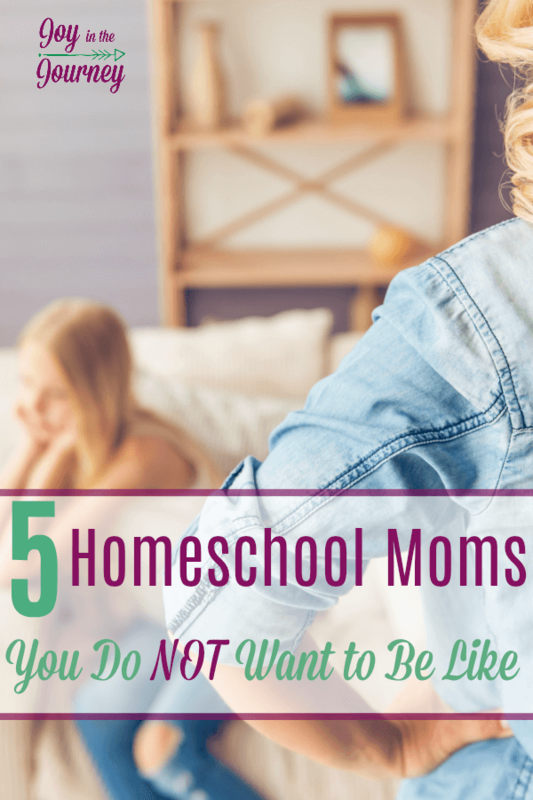 There are five scenarios that happen to me regularly, all of which have the potential to give birth to five types of homeschool moms that I DON’T want to be. Having to be a task-master all day. Otherwise known as trying to keep the daily schedule intact, lol. Wow, there are times when I feel like the kids have no desire to move any faster than molasses. And if one kid gets behind, everything snowballs – including my plans for my time. So I start nagging… and the more I nag, the more I get wound up about staying on schedule – and the more unglued I become. Children not learning as quickly or, as well as I, think they should. Don’t you get impatient sometimes, wondering why your kid just doesn’t “get it”? I know I do. 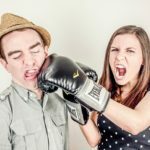 Some of this has to do with personalities – after all, they’re our kids, so they will know how to drive us crazy, lol — and some of it is that we adults who have more knowledge forget to have patience with someone who of course isn’t going to know as much. What seems obvious to us is not going to be so obvious to them. Guilt that I’m doing it all wrong. Like, all of it. The schooling, the character training, the cooking, and cleaning – we can get to feeling extremely inadequate. Which can often lead to a sort of paralysis, where we don’t feel like attempting anything because we just KNOW it won’t go right. Tell me I’m not the only one who gets there sometimes! So what’s a girl to do? Giving into these issues by screaming and yelling or kicking holes in walls (don’t ask – but yes, the plural is intentional. Who knew drywall was so thin? Sigh.) is obviously not the solution. The way I see it, the road to dealing with our emotions as we homeschool is a two-fold process. On the one side, we need to address our heart issues. But also, we need to amend the logistics of the situations themselves. Let’s look at each of the above scenarios again, this time with solutions in mind. I’d love to go into greater detail for all of these, but for now, I’m just going to provide food for thought. It won’t be difficult for each of us to ponder these and find our own ways to apply them. Task Master Mom: In our hearts, we need to recognize the sovereignty of God in our day-to-day moments. The milk that gets spilled that needs to be cleaned up that makes us late getting started in the morning is not a surprise to Him. We also need to see the bigger picture – God’s purposes are more important than our agenda. One thing that would help logistically is to make room for margin in our schedules. Build in time between tasks. Take some tasks off the list altogether. Angry Disciplinarian Mom: I think we often get angry at our kids for misbehaving because we see it as a reflection of ourselves. “How dare they act that way? I never taught them to do that!” We are personally offended, even though the actual offense was not against us. Or we are just SO disappointed that the child made that choice because we know it is not in their best interest. We need to learn to recognize that our child’s sin is not about us. “The wrath of man does not achieve the righteousness of God” (James 1:20). Rather, it is God’s kindness that leads us to repentance (Romans 2:4) – and the same will be true for our children. This does not mean no consequences. In fact, that is part of the practical solution. Set up consequences for behavior and be consistent to stick to them. When consequences are decided in the rational moments, then during the conflict it’s easier to stay calm. I must confess I am STILL working on this one, though my kids are almost all teenagers and above. Impatient Teacher Mom. Practically speaking, educating ourselves about learning styles is crucial as homeschool moms. I did not pay as much attention to this as I should have. It’s actually quite fascinating, and it’s fun to discover where family members fit. Now that my kids are older, I am better able to see which ones learn like their father and which ones learn like me. I wish I’d figured it out sooner. It becomes a lot easier to be patient when we are willing to accept that the child learns differently than we do. And on a more spiritual level, who are we to be impatient about our child butchering the multiplication tables, when there are lessons God has been trying to teach us for YEARS that we are still struggling to grasp? Poor Me Mom. This is one is easy to fall into. It happens when we take our eyes off of our calling and focus on our own wants. But the fact is that we were bought with a price, and Jesus did not come to be served, but to serve. BUT there is also such a thing as self-care. We do need to build time into our day for rest, exercise, and a little bit of “me” time. This is not selfish — I liken it to the idea of putting my oxygen mask on first (“In the event of a loss of cabin pressurization…”), so that I can help my child with theirs. I need to take care of myself so that I can be a better wife and mom and servant. Inadequate Mom. I think there is a bit of pride involved here, at least for me. I want to be REALLY good at everything – at least I want everyone to THINK I’m really good at it. But the fact is I’m not, and I won’t be. But I am always reassured by the idea that God gave me to these children as their mother and their teacher because He thought I would be best for THEM. He wants ME in their lives. And in my weakness, He is strong. It’s not about me; it’s about Him working in me and through me. But it’s hard for me to remember this if I am not in His Word. Spending time in the Bible is crucial towards maintaining a right mindset about who I am and who He is. So often when we get emotional it’s because we have lost sight of our big God and are dwelling on our circumstances. In each of these five scenarios, I can remember that I don’t want to be THAT mom. I can think of the truth as it’s found in God’s Word, while at the same time taking some practical steps to help alleviate the situation. Are you proud to be a homeschool mom? Showcase your pride in this Homeschooling Your Tribe T-Shirt! Ann is a 40-verysomething (ahem) homeschooling mom of five. She has been married for 26 years to her never-boring husband who travels two weeks per month; and she has homeschooled all of her children since pre-kindergarten, graduating three of them so far. Doing this while living in the boonies very rurally outside of Branson, Missouri, she has had to find ways to simplify her life in order to keep her sanity! 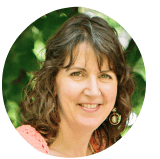 🙂 At Annie and Everything she blogs about making any and everything as easy and cheap as possible – frugality, homeschooling, and a bit about homemaking, motherhood, marriage, and other aspects of being a woman thrown in for good measure. You can also find her on Facebook, Pinterest, Twitter, and Google+. This is exactly the motivation I was looking for! To me, the most challenging is the transition. From one class to the next or from break time to class again. Thanks for this lovely article! I so needed this, to hear this, to read this. All of these are me, sometimes on a daily basis. On the days when I feel God and I reflect on His love, I’m in a much better place. Thank you for “reaching” me with your words and showing that I am not in this boat alone. God Bless all that you do. I think I’m all. I’m trying to homeschool my son who is 8 yrs. I’m struggling so bad. I’m to.the point of giving up. My son hates school and is very frustrating. I really enjoyed this it helped me a lot. I feel God wants me to do this and I want to obey and do good at it. Natasha, hugs!! How long have you been homeschooling? I Have heard (and agree) that it takes 2-3 years to gain confidence and get into a rhythm with homeschooling. So, don’t give up!! Thank you for being so honest about the struggles you face in homeschooling (which we all face!) and then helping us to have a more biblical perspective on those struggles. Thank you! Wait….5 and 2. So far my kiddos learn very, very quickly, so this hasn’t been one of my struggles often. Oh hugs!!! Keep on keeping on. It gets easier, I PROMISE!!!!!! What year of homeschooling are you on? My oldest is 6, and would be in kindergarten in public school. She’s doing kindergarten and first grade work. I also have a three year old and a 3 month old. Number 3 stood out the most for me, because this is one of the greatest gifts of homeschooling – to follow the timeline of YOUR child and thus go as fast or slow as they need to on a particular lesson! As a former elementary teacher, I can tell you that is one area that, while teachers may try, gets neglected in a classroom environment. Even if the teacher is successful in truly differentiating the work for each student, they are still under the gun from the district/state/etc to move things along according to the curriculum plan! Exactly!! I don’t blame the teachers at all. It’s not their fault, but lack of time is just a fact in the schools.